In 2016, Egypt saw many economic and legal changes that impacted arts and culture scene. The cultural players will now have to respond to many pressures and navigate in between many obstacles; but will they manage and how? In 2016, Egypt saw many changes that impacted culture, an aspect of life not only a fundamental and essential as any other but also as vulnerable to economic and legal developments, especially when they occur rapidly one after the other. Such was the case in the last two years in Egypt, with accumulative changes that started two years ago peaking in the second half of 2016. In 2014, a new restrictive law was announced, subjecting NGOs to scrunity and leaving them open to possible prosecution. Al Mawred Al Thakafy, one Egypt’s major cultural players relocated to Beirut shortly after the announcement of the new law, suspending most of its activities in Egypt, and handing the rest over to the newly established El-Genaina Company. A number of other cultural players chose to change their legal status to companies. But the debate around NGOs’ operations is far from over. After parliament voted for additional legal restrictions in the form of Article 89 last November, Ahram Online reported that “the new law stipulates that foreign NGOs seeking to operate in Egypt must secure prior approval from the National Foreign NGOs Regulation (NFNRA). Not only do such growing restrictions have a direct impact on the financial resources, the independence and as such the work of those NGOs, but according to cultural players who have kept their NGO status, these laws are also often accompanied by procedural obstacles and delays. An example given by Abdalla Daif, the programmes director from Gudran Association for Art and Development, an Alexandrian NGO that operates through several cultural spaces scattered across the city, shows how obtaining funds from an international grant giver can be easier than having the grant approved by the Egyptian authorities. “We have received a grant from the Ford Foundation back in 2014. Until this moment, we await permission from the Social Solidarity Ministry to collect it,” Daif describes the numerous visits he had paid to the ministry, following up on the process and meeting all requirements. However, the scene still includes organizations which do not have NGO status and who have their share of worries. Interviews with cultural managers show that their biggest concern is securing funds for their operations. A few independent players, who nevertheless prefer to keep the details of their stories undisclosed also point to the higher number of visits they are paid by different authorities – censorship, taxation and security – resulting in various degrees of verifications and interrogations. Some managers are simply puzzled by the new regulations. Fatenn Mostafa Kanafani who runs one of the most dynamic Cairo art galleries, Art Talks, has her own set of questions. She says that in past 12 months things have been “moving from bad to worse,” and one of her main concerns is the new tariff placed on artworks which, according to her, was raised from 45 to 110 percent. Earlier this month, Kanafani shared her experience on social media explaining that while importing artwork she found that “taxes and duties were calculated based on the weight of the cargo and the value of the artworks. So the heavier the cargo, the higher the duties. The value you state is challenged, but while the challenging used to be done by the Ministry of Culture, now the custom’s committee also takes part. Kanafani did not receive any breakdown as in previous shipments. “When I asked for a clear document explaining the regulations, I was told there isn’t any. I expect a clear law written by the Finance Ministry so I can understand the procedures,” Kanafani comments, adding that though the Culture Ministry received her report with concern and surprise, she has been left with no answers. Likewise the new taxation system: most recently, tax pressures have been particularly heavy on the Bibliotheca Alexandrina’s Arts Centre. Last September, for the first time in the centre’s history, the entertainment tax of 25 percent was placed on all the tickets for the centre’s events. Until 2016, the entertainment tax was placed only on mainstream performances such as pop stars performing in commercial venues. 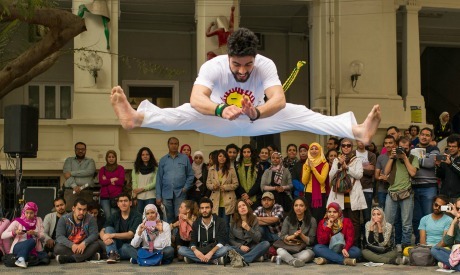 According to Hisham Gabr, the Arts Centre director, this tax was not applied to the institutions offering non-mainstream artistic events that are extremely valuable to the wide range of society. But taxes and tariffs are but one of many challenges facing cultural players. The Aviation Ministry, for example, issued a decision to stop the sale of air tickets for routes starting and ending outside the country, as of last September and for the span of one year. While, according to the ministry, the reason is “to help ease an acute shortage of foreign currency in recent months”, in practice the decision has made it much more difficult for many institutions, to issue tickets for foreign guests. To add to these institutions’ burdens, there are the pressures resulting from economic reforms, bringing about a continuous rise in prices across many sectors and so jeopardizing the cultural scene. The biggest blow came at the beginning of November when, as Ahram Online reports, “the Central Bank of Egypt (CBE) decided to freely float the pound against the foreign currencies as part of a set of reforms aimed at alleviating a dollar shortage, eradicating the black market and stabilizing the country’s flagging economy. Of course the overnight doubling of foreign currency rates not only leads to difficulties in paying the fees of foreign artists, but also makes life impossible for local artists struggling to make ends meet. The representatives of many cultural institutions quote a range of consequences. 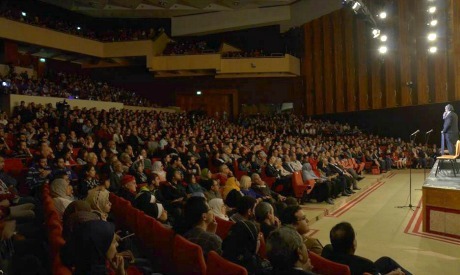 Just like other artistic institutions, the Cairo Opera House, home to many national artistic troupes, receives a fixed annual budget in Egyptian pounds in July. The budget for season 2016/2017 has already been agreed on when the pound’s floatation suddenly doubled the foreign guests’ fees mid-season, something that will be very difficult for the opera to respond to immediately. Even though, as Abdel-Dayem explains, there were not many foreign troupes planned for the second half of the season, she has been trying to find a solution to meet the expectations of those in the schedule. “As much as possible we try not to cancel, but we also end up postponing events to the next season. We explain the situation to the foreign troupes; some of them are able to find a solution to the challenge, others simply cannot,” she says. Abdel-Dayem adds that the Opera must embark on a more dynamic cooperation with the foreign embassies and cultural centres, looking for additional sponsorships, a procedure that has been carried out by one of the Opera’s companies, the Cairo Symphony Orchestra. El-Saedi seems more worried about the members of the orchestra. “We have a few foreign players who get their salaries in Egyptian pounds, just like the rest of the orchestra. El-Saedi adds that due to the economical pressures, most of the musicians need to look for additional income; they often join commercial events and recording sessions. This affects their time, energy and ability to focus on the orchestra’s programming. “We cannot put much hope to young new graduates of the Cairo Conservatory joining the orchestra either. They are very few, and of course they will also want to make decent living,” he comments. Kamel adds that the current situation is as discouraging for the younger generation of the dancers who, as they watch the changes taking place, will have to make life choices, whether to join the ballet company or find better pay elsewhere. “We held meetings with the opera chairperson and together we try to make the best out of the situation. For the time being, we have to focus on the current season and try to adapt artistically to it. Unfortunately we had to cancel the Cleopatra ballet from the season’s programming. This is a new production that would require high costs. We will replace it with another work that we already have in the repertoire,” Kamel adds. Naturally, the Cairo Opera’s companies are not the only cultural players that must tighten their belts. The Bibliotheca Alexandrina’s Arts Centre has also announced one cancelation so far: the production of Rossini’s one-act opera L’occasione fa il ladro (Opportunity Makes a Thief), which was scheduled for the second half of the season and which was to include foreign guest singers. Gabr adds that the centre has already been offered emergency support from the Embassy of Tunisia which helped to cover part of the costs and fees of the Tunisian soloists who sang in the November performance of Beethoven’s Symphony No. 9. Can foreign cultural institutions’ support make the world go round? It is evident that reaching out to foreign cultural centres and embassies for support will be one of the default actions of most cultural players. This is hardly surprising considering how big a role foreign institutions have played in supporting Egyptian cultural activities in recent years. 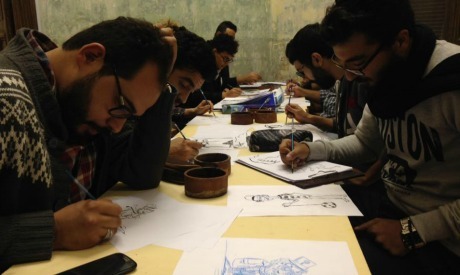 They have also strongly contributed to the development of Egypt’s independent arts scene. Cultural institutions like the British Council, the Goethe-Institut, the French Institute, the Spanish Cultural Centre: Instituto Cervantes, the Netherlands-Flemish Institute in Cairo, the Maulana Azad Centre for Indian Culture, to name but a few, offer a variety of support formats, from covering tickets and/or accommodation or artists’ fees to providing operational and promotional aspects help. Cathy Costain, the Head of Programmes for the Arts at British Council, reassures the cultural players that “things are pretty much as they were” and the British Council which is definitely one of the crucial players in Egypt’s arts scene, will continue to offer grants and other forms of support. 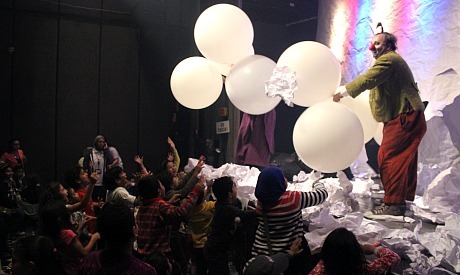 The independent organizers of the annual arts festivals, such as the Hakawy International Arts Festival that brings international and local performances for the youngest audience and the Downtown Contemporary Arts Festival (D-CAF), the multi-disciplinary contemporary arts festival, are among the beneficiaries of the support offered by the cultural centres. Ahmed El-Attar, the artistic director of D-CAF and Falaki Theatre, as well as the founder and manager of Orient Productions, Temple Independent Theatre Company and Studio Emad Eddin, says that the financial side of the festival became his main concern, especially that D-CAF usually includes large programming and is only three months away. “We have to tap more to private donors and companies. It is hard though. We have done a bit of that but now we need to focus more on it,” El-Attar explains, adding that, so far, the programme has not been affected, nor does he plan to give up on the token ticket price or make free events paid. Mohamed El-Ghawy, the director of AFCA Foundation for Arts and Culture, an organization working with children and young people, as well as the founder and artistic director of Hakawy festival scheduled to take place in three months’ time, is equally concerned about how the “price of everything has doubled and tripled. With the new exchange rate, we will have to readjust our plans. I will have to rely more on support but if it gets really tough, I might have to consider minimizing the costs by bringing over fewer foreign troupes or smaller troupes. I will not compromise the artistic quality,” he explains. Like many arts managers, El-Ghawy began planning several months ago and must also go through many other daunting procedures before a new round of the festival can see the light. They include permissions from the security bodies as well as the Festivals’ Committee that operates under the Ministry of Culture. All the cultural managers express their concerns about the running costs of their respective institutions, quoting salaries, rise in electricity rates and rents. So far cultural players have sought to navigate their way through the obstacles without raising their fees; their hope is to keep their fans and uphold their belief in the importance of culture to society. Stefania Angarano, the director of the Mashrabia Gallery of Contemporary Art, fears that the interest in visual art will decline in Egypt. 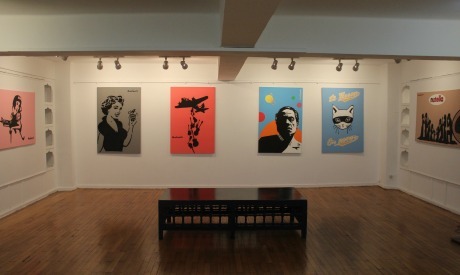 “Art aficionados will keep visiting the gallery, but only the economically privileged will be able to make purchases. People from the middle class – those who are very close to the arts – will think twice before making an actual purchase. Let us not forget that artists also need to pay their bills, and so have to raise the fees,” Angarano points to snowball effect which might jeopardize the existence of small galleries. Undeniably, the visual art sector which targets a specific niche of the fine art aficionados, might prove particularly vulnerable. Yet each culture sector operates on its own dynamics and tries to find its own solution to the challenges. El-Attar insists that despite the hard times, he chooses to be an optimist. “If we do not remain positive, we won’t continue. It is probably now, more than ever, that people need art; they need to redirect their attention from the daily pressures so they do not end up committing a suicide. Art and culture allow people to step out for a minute and see everything from a different perspective,” he comments, citing the fact that 2016 was the record year in audience turnout at the Falaki theatre.